Dr. Huynh earned his Bachelor’s in Molecular and Cell Biology at U.C. Berkeley. He went on to obtain his Doctor of Dental Medicine (D.M.D.) degree at University of Pittsburgh School of Dental Medicine in Pennsylvania. After completing his doctoral degree, he was selected honorably among thousands of new graduate dentists by the University of California-San Francisco School of Dentistry (UCSF) to complete his Advanced Education in General Dentistry (A.E.G.D) residency training. Dr. Huynh received multiple scholarships during his undergraduate and graduate schools. In dental school, Dr. Huynh was involved with several faculty research projects. 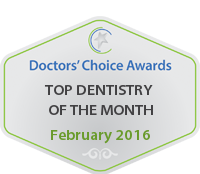 Dr. Huynh received multiple American Student Research Awards in Periodontics and Endodontics Surgery study. After completing his UCSF post-doctoral training, he was awarded by the school faculty a Recognition of Outstanding Clinical Performance. 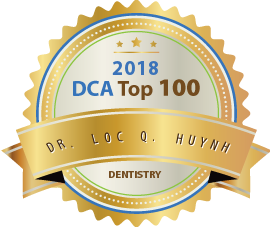 Dr. Huynh is a member of the American Academy of Implant Dentistry, Academy of General Dentistry, and American Academy of Cosmetic Dentistry. Dr. Loc is very dedicated to his profession. Not only is his work beautiful, he is kind and conscientious to everyone. He strives for excellence! I had the privilege of being acquainted with Dr.Loc a few years back. He is a passionate and driven individual with tremendous insight. What caught my interest was the fact that he loved thinking outside the box. A broader perspective is the key trait of a visionary. May you reach tremendous heights in your endeavours. All the best. Dr. Huynh is a truly competent dentist. He is caring, conciencious and highly skilled. He is committed to constantly improving himself by taking various continuing education courses. Great dentist! I’ve known Dr. Loc Huynh for over 5 year. He is a kind, caring, intelligent, and forward thinking practitioner. He goes above and beyond the minimal continuing education licensing requirements to be knowledgeable about the current trends and technique’s in the field of dentistry. 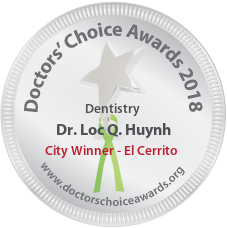 I have the privilege of working with Dr. Loc Huynh and see what a caring, compassionate and highly skilled dentist he is, consistently providing the best care to his patients. Dr. Huynh has a true passion for dentistry and is always eager to share with his colleagues the wealth of knowledge he continues to acquire. Outside of dentistry, Dr. Loc also devotes much of his personal time to help others. I highly recommend this great person! I met Dr. Loc Huynh in a post-dental school residency program at UCSF. He is a very hard working dentist who always strives to learn the latest techniques. He is involved in lifelong learning and continuing education in dentistry so he can offer innovative dental care his patients. He is an extremely hard worker and I have no doubt he goes the extra mile to help his patients achieve dental health and function. It was an honor to know Dr. Huynh through a friend from a dental CE course. He is a great mentor and will to go the extra mile to help out his fellow colleagues by giving them dental pearls. Dr. Huynh demonstrated repeatedly that he is genuine and care for his friends and the community through volunteering and donation. I highly recommend Dr. Huynh to anyone who is looking for a personable dentist and superior dental care/result. Great colleague, takes good care of his patients. 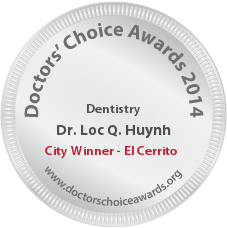 Dr. Loc Huynh is very knowledgeable about all aspects of dentistry. I have no doubt, he will provide the best care to his patients. He is a great colleague, very knowledgeable and experienced.I think his bedside manner is also very good.He has always been ahead of the learning curve and stays up to speed with the new advancements in dentistry.His work ethic is remarkable.I would recommend him as a dentist.He is one of the few people who love what they do and one can totally see that passion in his practice of dentistry. I worked with him for many years. He was my mentor too. Had a very good experience working with him as an associate Dentist. Excellent managing Dentist, very well trained with many advanced dental specialty aspects. I have worked with Dr Huynh for 4yrs.. He is a very caring person. He is an excellent and experienced dentist. His skills are very knowledgeable, and professional. It was very a pleasure to work with him. Dr. Hunyh has been a friend and college since we were in dental school. He has always pushed me to excel and do my best academically in school–we used to study together and write quizzes for each other on our test materials. He has been a great source of advice for a \”new\” solo practice owner. I have always been impressed by his thirst for knowledge and his \”passion for the profession.\” His patients should be happy to be in his gentle, capable hands. Best of luck to you Dr. Hunyh and your future endeavors. I have known Dr Huynh since our first day at dental school. His commitment to the study, practice, and passion of dentistry was very evident from the first introduction. Over the years, he has devoted himself to perfecting his craft. When we enter into the clinic phase of our education, he not only achieved excellent academics, but now turned that success into becoming a doctor who integrated his patients’ needs and desires with this knowledge. Now, as a someone who has practice dentistry for over ten years, he has continued to combine his extended comprehensive knowledge of dentistry with outstanding patient focused care. Dr Huynh has the rare combination of knowledge, technique, and patient passion it takes to become a great dentist. I’m proud to call him a colleague and friend. Dr Loc was a colleague and a friend while a student at the prestigious University of Pittsburgh’s School of Dental Medicine. His work ethic and attention to detail were second to none and set the foundation for a promising career in his field. He was the consummate team player and was always willing to help a fellow student with their studies making him well liked and respected by all. I highly recommend Dr Loc for quality and compassionate dental services. Loc is an excellent dental professional. 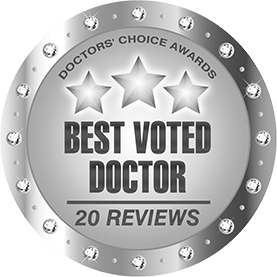 He maintains the highest standard of care in all aspects of his practice. Having the honor of knowing Loc for approximately 10 years has enabled me to view Loc in a position of respect especially in regards to how he treats his colleagues and patients. I would feel very comfortable being a patient in his practice and respect his continued dedication to the practice of dentistry. I have worked with Dr. Loc Huynh for about 8 years. Professionally, he is a well-rounded dentist who is talented in mutiple disciplines of dentistry: including but not limited to general, implant, and cosmetic dentistry. Alot of patients found his work excellent. He is always motivated and eager to learn the lastest cutting edge dental technique. On a personal level, he is a genuine and caring individual. He enjoys giving his patients beautiful smiles. Dr. Huynh works well with his peers and is a team player. He is ready to give his honest opinion when requested and he is also willing to listen to feedback with a open mind. It has been a pleasure to work with him. Loc is the most respectful dentist whom I know.